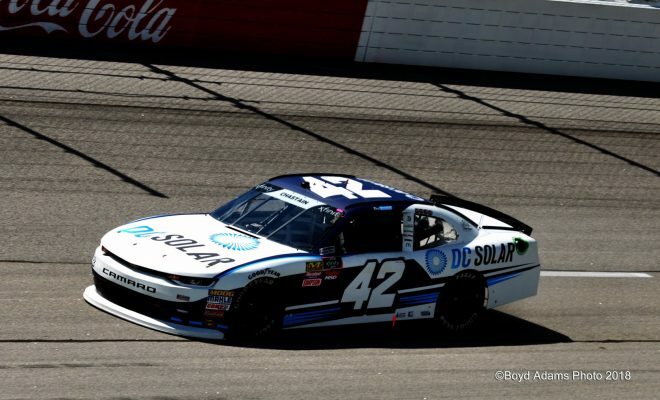 DARLINGTON, S.C. — Ross Chastain has been given a three race deal to prove his talent in Chip Ganassi Racing equipment. 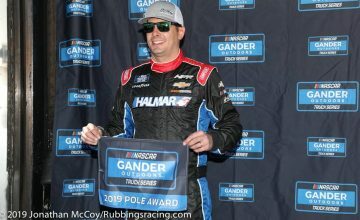 In his first race with the team he got his first career NASCAR Xfinity Series pole. With a speed of 169.531 mph, Chastain was the fastest in qualifying for the Sports Clips Haircuts VFW 200. He paced Darlington’s 1.366 mile speedway in 29.007 seconds. Christopher Bell, who’s earned three poles so far this season qualified second, he was the fastest qualifying rookie. Tyler Reddick, the winner of the season’s opening race from Daytona International Speedway was third. 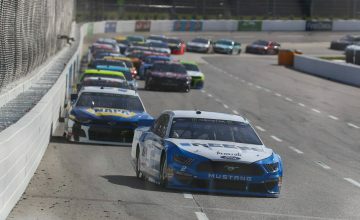 Daniel Hemric, driving for Richard Childress Racing was fourth on the speed charts and the winner of last year’s race, Denny Hamlin was fifth. Five minutes and 28 seconds into the first of three qualifying rounds, Vinnie Miller, driving the No. 0 Flex Glue Chevy Camaro, scuffed the outside wall and parked his ailing car on the front straightaway. Safety officials met him at his car and took him to the infield care center, where he was later cleared of any injuries. Though Miller was okay he would not return to the track during qualifying. After the track went back to green flag conditions, Chase Elliott went for a long drift through turn-four. He kept his No. 23 GMS Fabrication Chevrolet off the wall but the slide had left his tires in “pretty bad” condition, over the team radio. The t0p-24 drivers in the first round of qualifying moved on to the second round. The first five drivers to miss the cutoff were: Tommy Joe Martins, Miller, Timmy Hill, David Starr, and BJ McLeod. The fastest 12 advanced to the final round of qualifying. 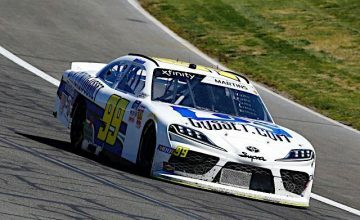 The first five to miss cutoff were Ryan Truex, Ryan Reed, Michael Annett, Matt Tifft, and Jeremy Clements. The Sports Clips Haircuts VFW 200 will go green from Darlington Raceway shortly after 3:30 p.m. Saturday.